David Wilcock's previous New York Times best sellers, The Source Field Investigations and The Synchronicity Key, used cutting-edge alternative science to reveal oft-hidden truths about our universe. 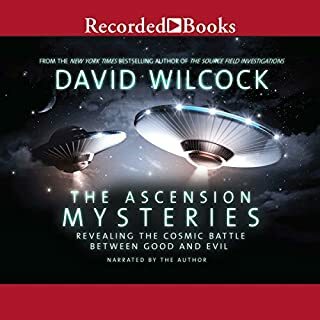 In The Ascension Mysteries, David takes us on a gripping personal journey that describes the secret cosmic battle between positive and negative happening every day, hidden in both the traumas of our own lives and the world's headlines. Amazing!!! It was an eye opener. I love this book. It is easy to understand and the author really explains things without confusing the reader. He gives you sources for his information facilitating the reader to do their own investigation. His voice in the audible version was mesmerizing I couldn't stop listening.